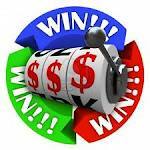 Winning a lottery jackpot is an occurrence that can probably happen once in a lottery player’s life. But some lottery players have in them some extra luck and go ahead to beat the lottery odds more than once. One Arizona man is such a lottery player, the man was lucky enough to win the lottery jackpot not once or twice but rather six times. This was after a man played the lottery using exactly the same number on six different Powerball lottery tickets. As luck would have it, for each ticket he played he won a million dollars, therefore making him six million dollars richer. The man went ahead and collected the lottery tickets by making six trips to the Powerball lottery headquarters. 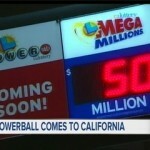 The lottery officials are yet to make public the identity of the lucky player. Lottery officials term the occurrence as ‘very rare’. 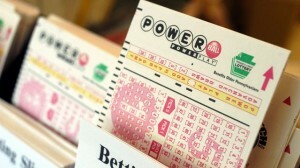 The lottery agents who sold the six winning Powerball ticket will receive $30,000. The Arizona state has been enjoying a Powerball lottery streak. Less than a month ago, 50 lottery players won $10,000 from the lottery. Additionally, a lottery player from the Virginia state was recently in the news after the two Powerball lottery tickets she had each won her a million dollars. Onto current affairs, the Powerball lottery jackpot is at $ 90,000,000. This is a rollover jackpot, after none of the Powerball lottery players matched the winning numbers for the Saturday’s Powerball draw. 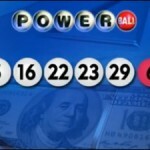 The numbers from the draw were 7-8-33-38 and 50 while the Powerball number was 29. 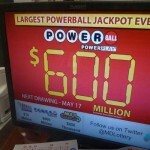 The next Powerball lottery draw is slated for Wednesday May 16.